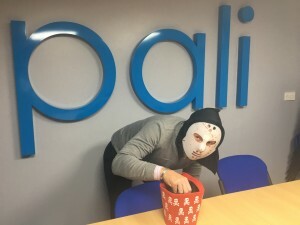 We’d like to give a massive thank you to everyone who got involved in our Pali Halloween competition! Your Halloween prize will be ordered today! We hope you enjoy your mouth-watering, pink champagne and choccies gift. If you haven’t won our spooktacular prize this time, keep a close watch out for the next Pali Giveaway for another chance to win!